Lefstein-Suchoff CPA & Associates, LLC’s goal is to help our clients understand and reduce their tax burden. Our tax professionals have a comprehensive understanding of federal, state, multi-state, and local tax laws, and we provide a full range of tax services. Tax planning is a year-round event and must be managed accordingly. We approach the tax aspects of financial management beyond simply meeting statutory requirements. We also advise each client on the most advantageous techniques available for minimizing or deferring income taxes while maintaining regulatory compliance to prevent costly penalties. Lefstein-Suchoff CPA & Associates, LLC is where results exceed expectations. This is driven by many years of experience along with our full embrace of technology and clear communication. 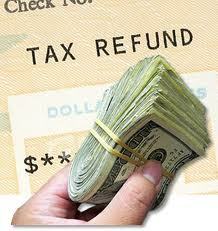 The result is timely and accurately prepared returns, while minimizing taxes. We are recognized by our clients and industry peers as a leader in this regard. In addition, we make it a point to stay on top of the ever-changing tax laws to help keep you informed. When you work with us, we use a proprietary system of tax preparation that makes the entire process easy. We can answer all of your tax questions with friendly, professional service. Technically competent, educated, and seasoned tax professionals, we are easy to work with. An experienced, professional CPA will provide you with an optimal return. We strive to exceed our clients’ expectations and are gratified by the many compliments we receive each year and by the number of returning clients.